I thought my flower window display is the perfect opportunity to brush up my crochet skills dating from primary school days. And since I was unable to knit the beautiful Gerbera on oddknit I looked for a crochet pattern and found lovely flower patterns on the Meli Bondre blog and because of the rather deadly combination of crochet skills dating from primary school and trying to understand a pattern in a foreign language, I looked up all the strange letter combinations in Cherry Hearts Crochet Corner, an incredibly useful and also pretty site for anybody who wants to know about crochet with great tutorials to all sort of crochet stitches. 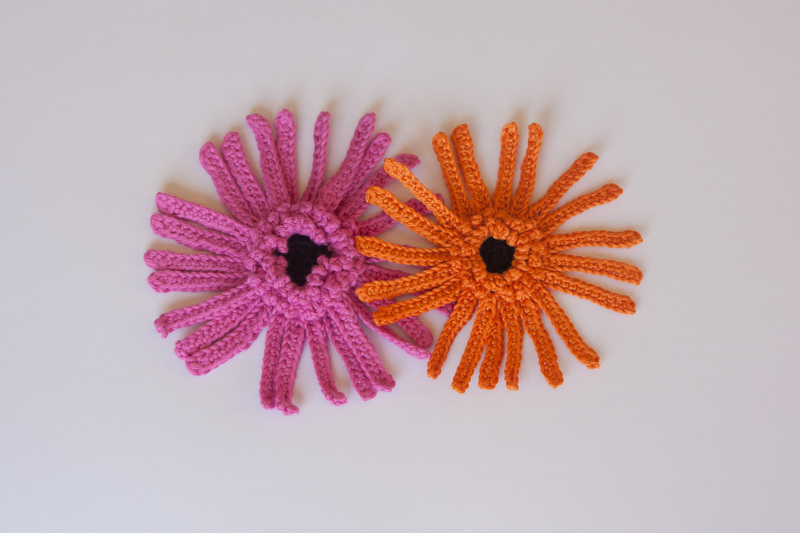 Choose a Gerbera pattern, ignore completely yarn and hook suggestions, take the one hook that you have and ideally too thick yarn for that hook. Don’t bother counting the stitches when creating the inner circle. It is late and the yarn is dark. It will be roughly enough. Continue until there is no more space to add any more petals legs. 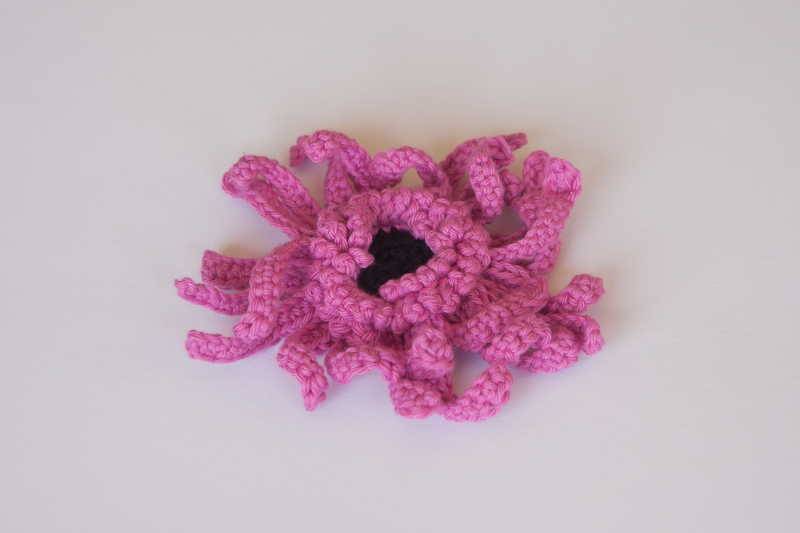 I know, from a marine biologist point of view, an octopus should have rather 8 legs (and probably that same marine biologist would not necessarily call them legs) rather than a good 30 but the crocheted octopus looks good with that many legs or arms or whatever. 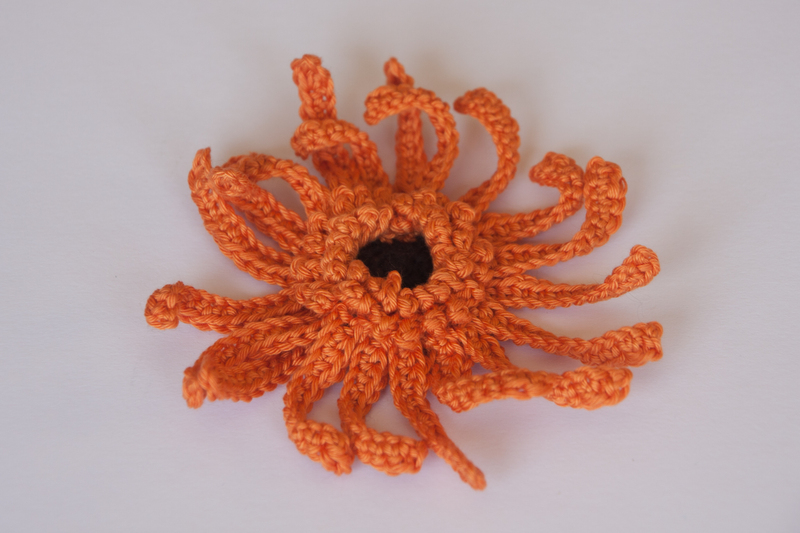 If you like it but still want to crochet a Gerbera, just do the same again, maybe with different yarn, but don’t be surprised to get another octopus. The octopus tutorial finishes here. but size wise they are not quite at the same scale than my lovely knitted roses and tulips. A little overpowering I guess and not recognisable as Gerberas next to the smaller flowers, maybe weirdly dyed sunflowers? But then it helped a lot to make the bouquet much fuller quickly. 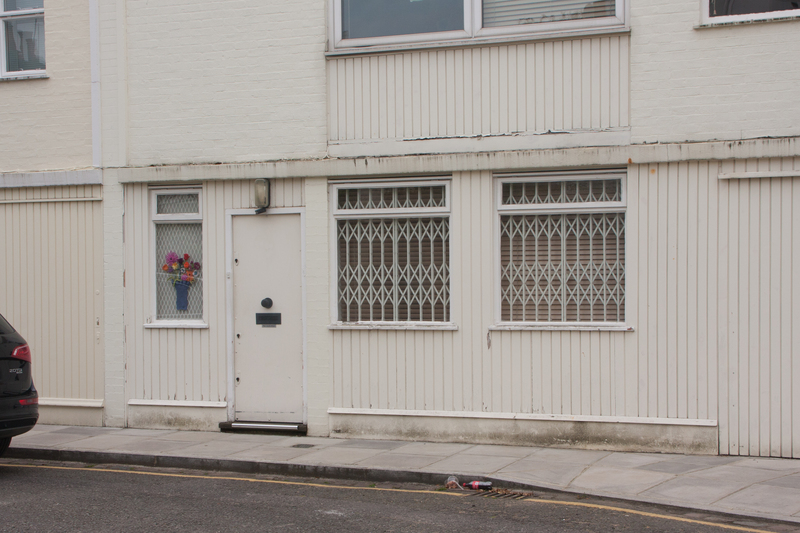 And they work well to attract views from further away which was the point of the whole window display anyway. 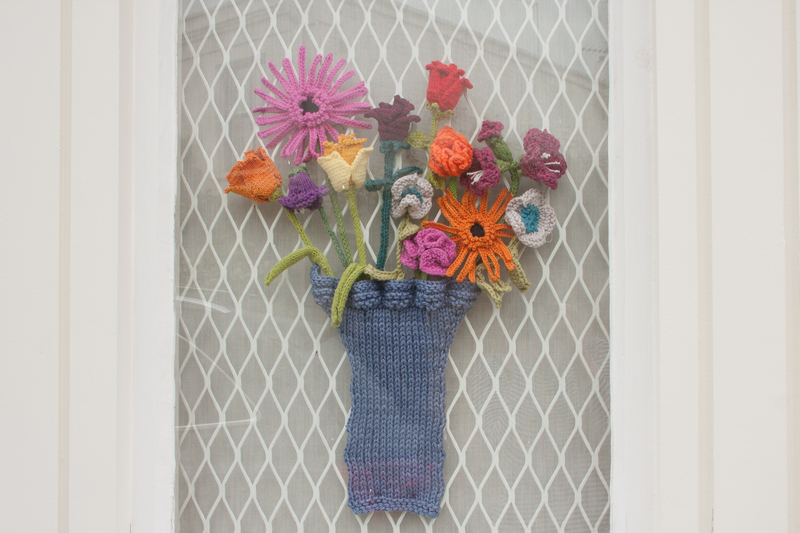 This entry was posted in home, own pattern, patterns written by others, Uncategorized and tagged crochet flowers, knit flowers, window display, Yarn bombing by atelieroursonne. Bookmark the permalink.